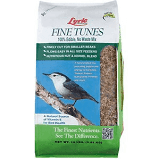 WE CARRY A FULL LINE OF BIRD FOOD AND SUET. FROM SMALL TO LARGE BAGS. WE STOCK MOST LYRIC FOODS. 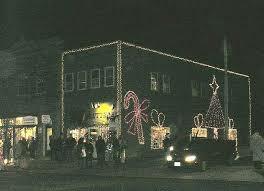 (YEAR ROUND) Pictures and brands may vary. Lyric's SUPREME gourmet bird food is known to be the #1 bird food on the market today. It attracts MORE BIRDS than any other food. It contains over 50% Sunflower. HAS NO FILLERS! Fine Tunes/Lyric/5 lb. $13.79$11.99On Sale! Fine Tunes/Lyric 15 lb. $33.99$29.99On Sale! 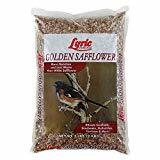 Safflower/Lyric Golden/5 lb. $11.19$8.99On Sale! Safflower/Lyric Golden 12 lbs. $21.99$18.99On Sale! Fruit n Nut/Lyric 20 lb. An inexpensive basic bird food for most birds.